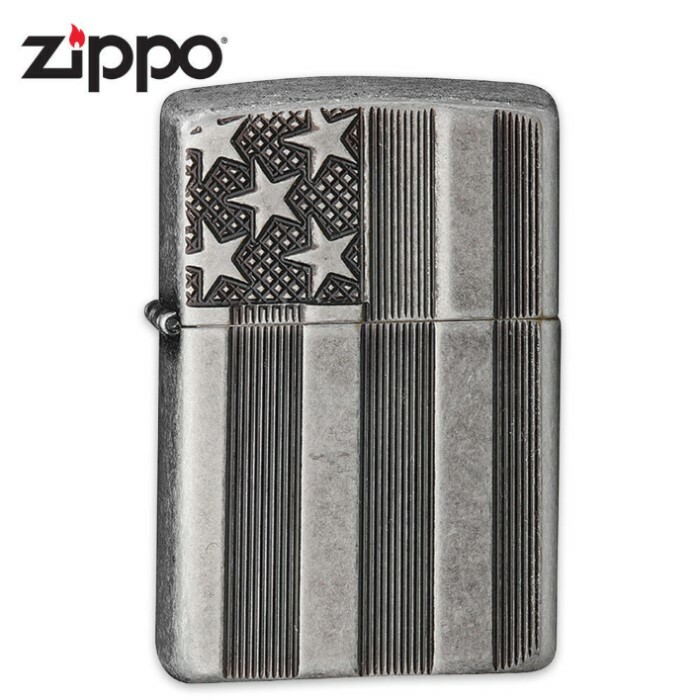 Zippo USA Flag Antique Silver | BUDK.com - Knives & Swords At The Lowest Prices! I bet you won’t find a better tribute than Zippo’s USA Flag deep-carved onto an Armor case that has an antique silver plating. This lighter looks like an antique that has been passed down for generations and is guaranteed to make your friends wish they had such an heirloom in their family. Only you will know that its brand new!